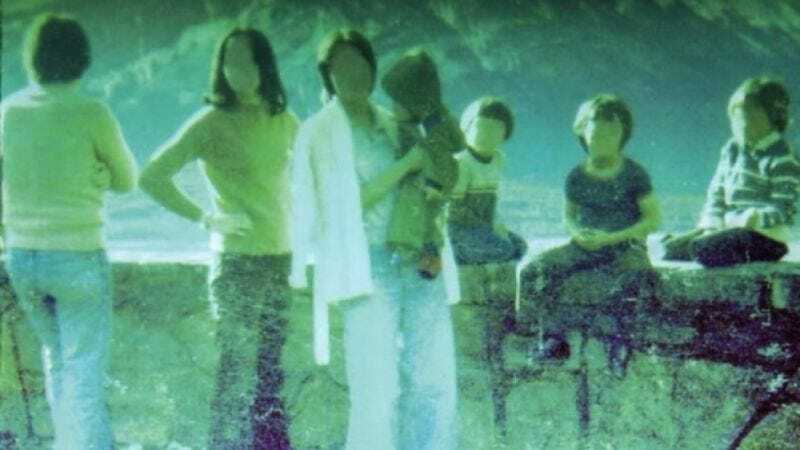 Boards Of Canada’s entire catalog is being reissued on vinyl. In the wake of the duo’s new Tomorrow’s Harvest from earlier this year, all of its previous full-length albums—2005’s The Campfire Headphase, 2002’s Geogaddi, and 1998’s Music Has The Right To Children—will be available again on vinyl on Oct. 21, after years of absence that have caused original editions to become highly prized, very expensive collector's items. They'll be followed by vinyl reissues of the 1995 mini-album Twoism and its two EPs, 2000’s In A Beautiful Place Out In The Country and 2006’s Trans Canada Highway, due on Nov. 18. A separate reissue of 1996’s Hi Scores EP is expected to arrive later in the year. Geogaddi is being reissued as a triple LP, with an etching on side F. The new edition of Music Has The Right To Children won’t include bonus track “Happy Cycling,” but will include a sticker that features the name of the label that originally put out the record, Skam, written in Braille. Both Trans Canada and In A Beautiful Place are being repressed on black vinyl (unlike their first editions, which were on white and blue vinyl, respectively). Each reissue also comes with a digital download and an original sticker design from its era.